Via WattWatt we learn about a new game with the name Electrocity offered by genesis energy in New Zealand. 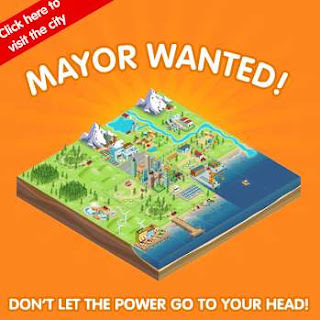 You can become the mayor of a city of 10,000 people with 30 plots of land, on which you can build power plants, factories, amusement parks and so on. You start with a capital of 400, and play 150 turns to develop your city. Looking at the completed cities players have built, some have ended up with huge wealth, and a large and happy population, while preserving the environment. But beware, it's not trivial the first times to play and not go bankrupt. ElectroCity was developed to increase public awareness – particularly among students – of the basic "common knowledge" of these topics. That is, the general terms and concepts of the industry and the dilemmas that go along with them. Our goal is not to provide students with a sophisticated understanding of the controversies in the various energy debates. Rather, our goal is to spark an interest and lay an unbiased foundation for later learning.